Hostel 1001 Nights on Karima i Kazan, Russland: Bestill nå! 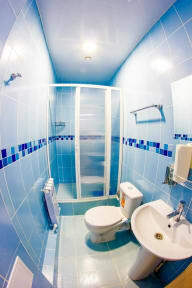 Hostels in Kazan 1001 Nights - one of the best hostels in the city with unique conditions and interior! Arriving in Kazan, you can stay at our cozy comfortable rooms with private facilities. Each of the rooms is distinguished by a special stylized interior and corresponds to the name. 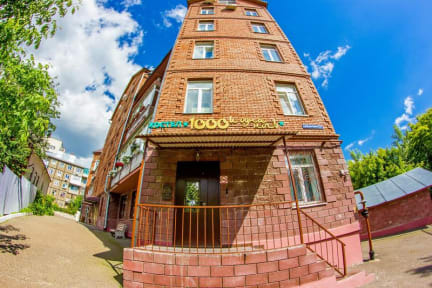 The hostel is located in the historical part of the city Old-Tatar Sloboda near the main sights of Kazan! In walking distance are st. Bauman, Kazan Kremlin, the shopping and entertainment complex Ring, metro station Tukaya Square, as well as parks, monuments, entertainment and much more. Hostel 1001 Nights on Karima is suitable both for individual guests and for arranging organized groups. The team of the hostel at any time gladly organizes for you a special tourist program, as a result of which you will experience unforgettable emotions!